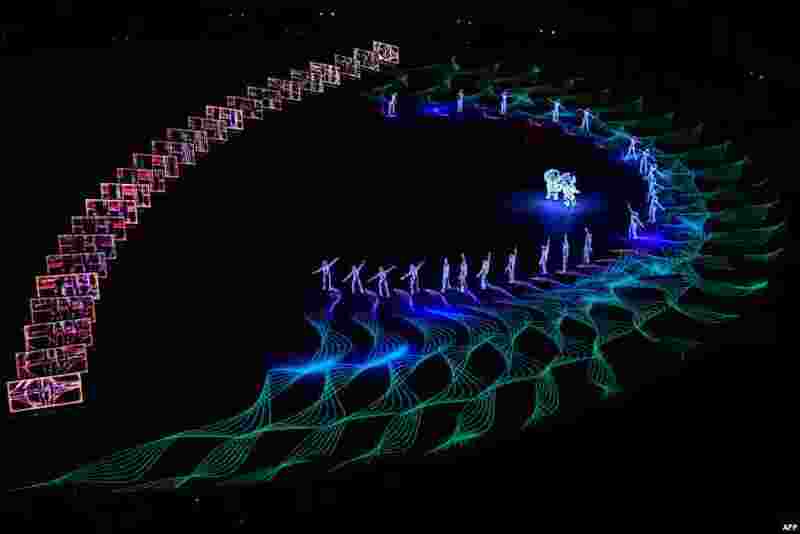 1 Dancers perform during the closing ceremony of the Pyeongchang 2018 Winter Olympic Games at the Pyeongchang Stadium, South Korea. 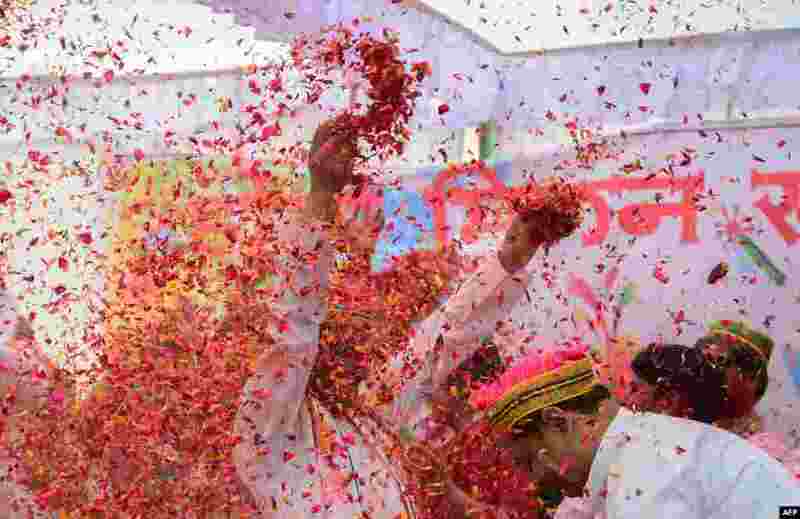 2 Flower petals and colored powder are thrown around at an event to celebrate the Hindu festival of Holi for children with cerebral palsy organized by the Trishla Foundation in Allahabad, India. 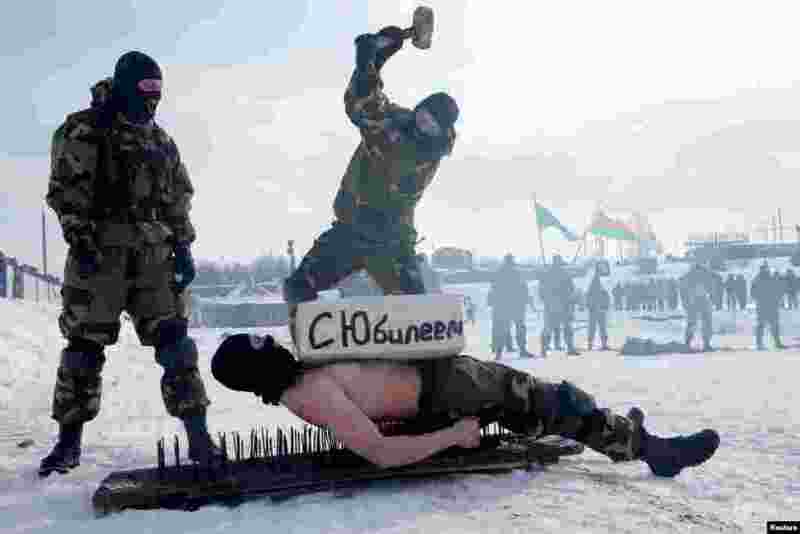 3 Special forces of Belarusian Defense Ministry perform to mark the Defender of the Fatherland Day at the "Stalin Line" memorial near the village of Goroshki. 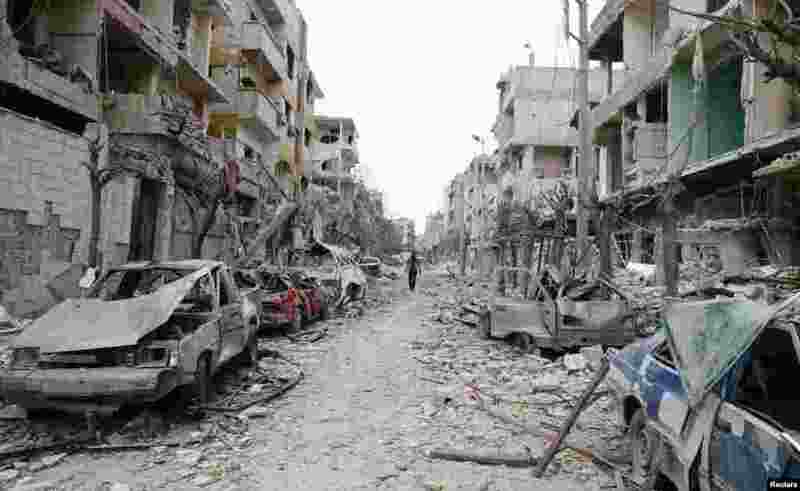 4 The damaged cars and buildings are seen in the besieged town of Douma, Eastern Ghouta, Damascus, Syria.